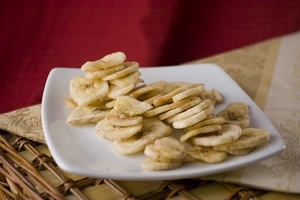 For the lover of all things delicious and tasty, these banana chips are for you. 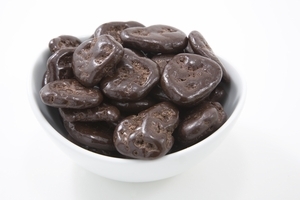 Plain, unsweetened, or covered in creamy, rich milk or dark chocolate, these banana chips are a distinctive and delectable snack. We proudly offer luxuriously delectable Banana Chips, plain and unsweetened, or decadently enrobed in velvety smooth Milk or Dark Chocolate. 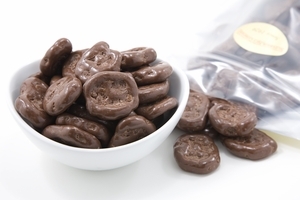 Available in one pound bags and 10 pound cases to ensure that you'll always have enough yummy treats on hand to entertain family, friend, or customers. 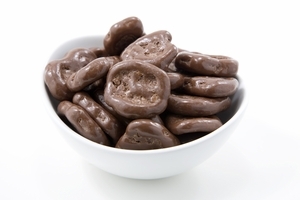 Anyway you present them, these chocolate-covered treats are an unexpected delight. 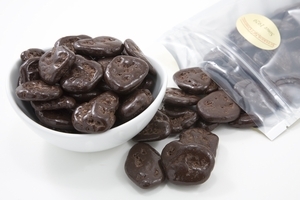 Flavorful Banana Chips are the perfect foil for their satiny smooth chocolate covering. Need a secret ingredient to turn your cookies from merely appetizing to ambrosial, or your cupcakes from simply good to spectacular? 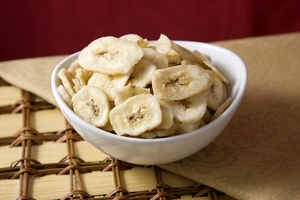 Try the Banana Chips sweetened with Natural cane sugar, or the Unsweetened Banana Chips, both are sure to fit the bill. 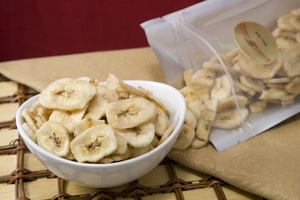 Elegant and effortless, Banana Chips are not only healthy and packed with fiber and antioxidants, they are a divinely different alternative to traditional potato chips and pretzels. Consider our selection of Banana Chips the next time you want to add something special to a corporate gift basket or offer hors d'oeuvres that your guests are sure to remember. Trust us. We know a good thing.